Suggested Use: Shake well before using. 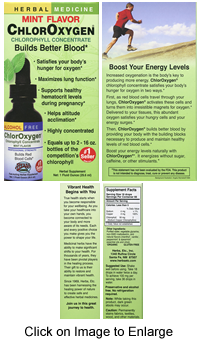 Take 18 drops (50 mg chlorophyll per serving) in water twice a day. To obtain 100 mg per serving, take 36 drops in water. Caution: Permanently stains fabrics, textiles, wood, and other materials. Flavors: Also available in original sweet grass. Helps swiftly for lung issues. I am thankful to have found this product online. Watching Canadian geese feed with their 6 babies I decided I needed more greens. What was in greens that my body was missing? 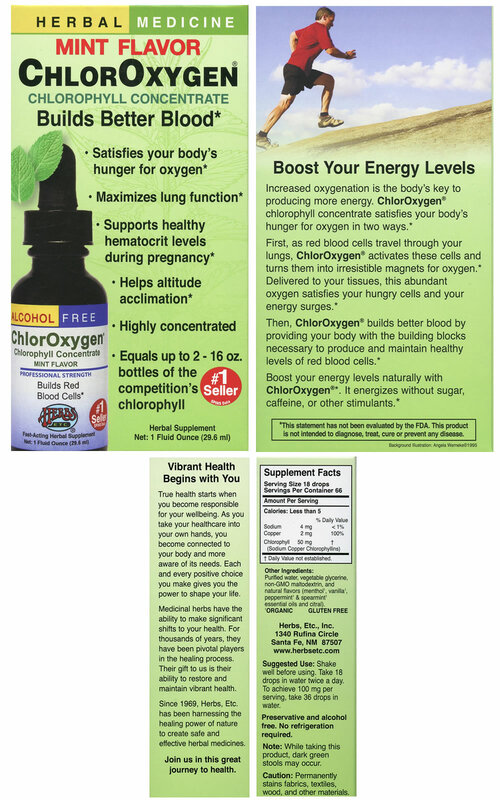 Chlorophyl... ChlorOxygen was the answer for me. I received relief from this product within moments after taking it. I feel so much better. My lungs instantly welcomed this great product. I only take 5 drops a day and was surprised I did not need more. I have since ordered 2 other products to take to help my issues.